Braman's Wanderings | Around the World, or Just in my Thoughts. The first roses of the season are always highly anticipated. 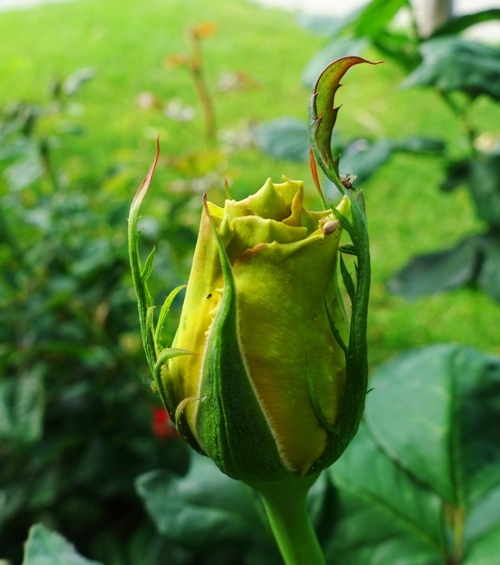 I watch to see when the buds first appear on the rose bushes and then keep track of them to see when they will open. 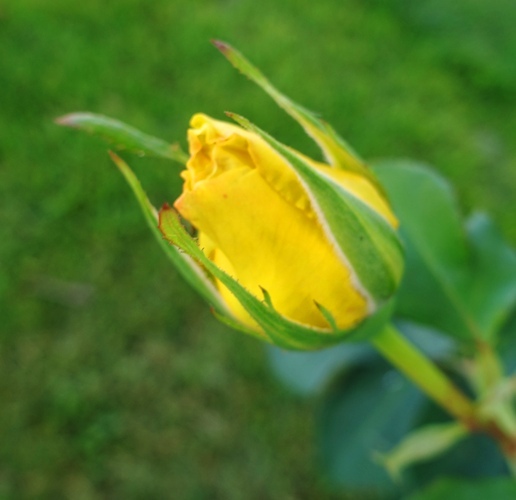 Here was one of the first buds of the season on one of my yellow rose bushes. One thing to point out is that these are not the first roses of the year, as I still had roses from last year in January. Here the rose has opened, and it was of course beautiful. 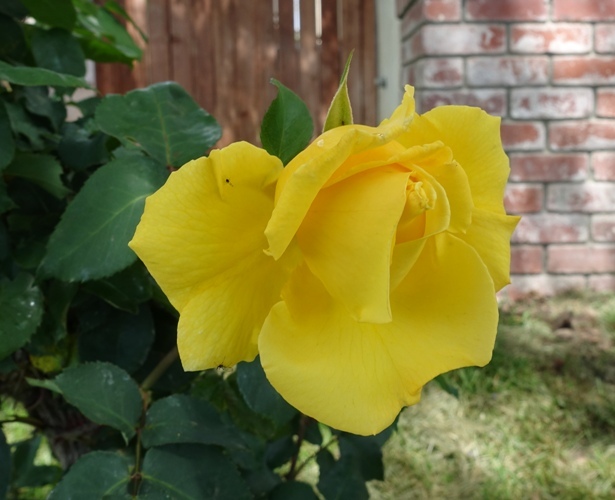 These roses also have a very nice fragrance that carries with the breeze. I often smell these when I walk out the door. 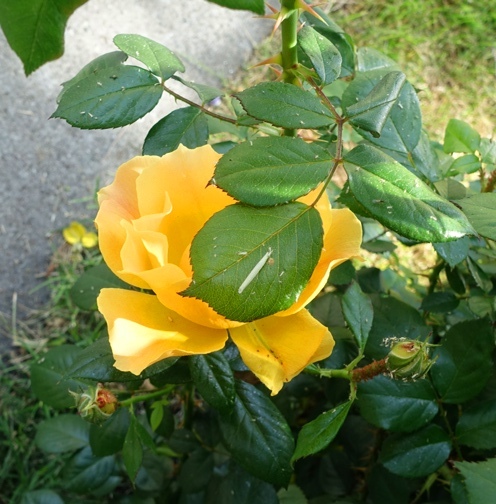 The first rose on my yellow floribunda was a bit hidden behind some of the rose leaves. However, soon this bush will be full of roses. Once the first rose blooms I know that others are close behind. Today the first rose on my Mister Lincoln bush opened up. 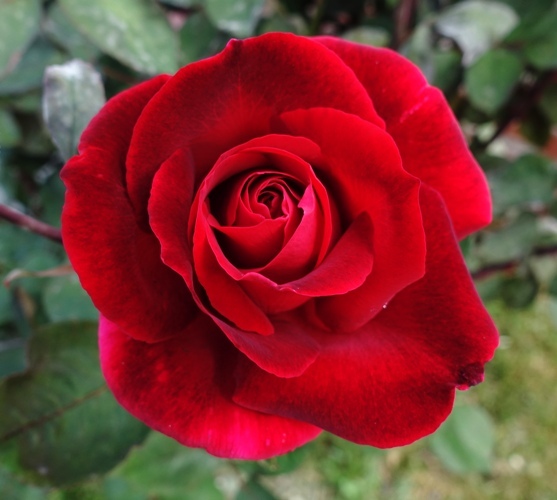 These are beautiful dark red roses that have a very strong fragrance. I really like these roses and they make me think of my Grandpa. My St. Patrick rose is a bit behind. This bud was the closest to opening this morning. You can really see the green tinge to the rose petals in this picture. I am sure that in just a few days I will have some nice roses to take pictures of. 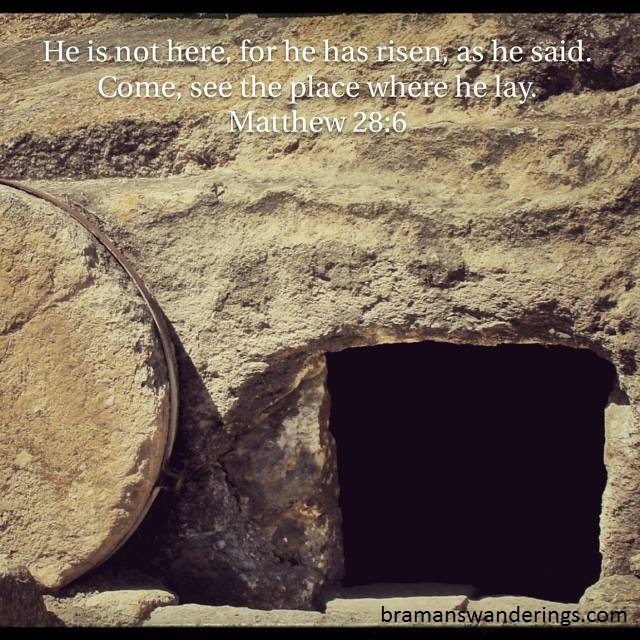 This week I have been thinking about this coming weekend, and how people will be thinking about an empty tomb. So, here are some pictures and thoughts about tombs in Israel. I took this picture back in 2012 from the window of our tour bus. We did stop to take the pictures :-). The tomb is along side a road near Mt. Carmel and Tel Megiddo. The tomb was found when they were constructing the road. This tomb may look familiar to many of you, as it is one that is commonly used to illustrate the type of tomb Jesus was buried in. John also had to stoop down to look into the tomb, so this is also illustrated by the picture. Of course, this is not the tomb of Jesus, but it is from the time period. It is also far from Jerusalem :-). For more about this tomb and the location you can visit my post A Picture for Sunday. Here is a scripture photo that I made using part of the picture. 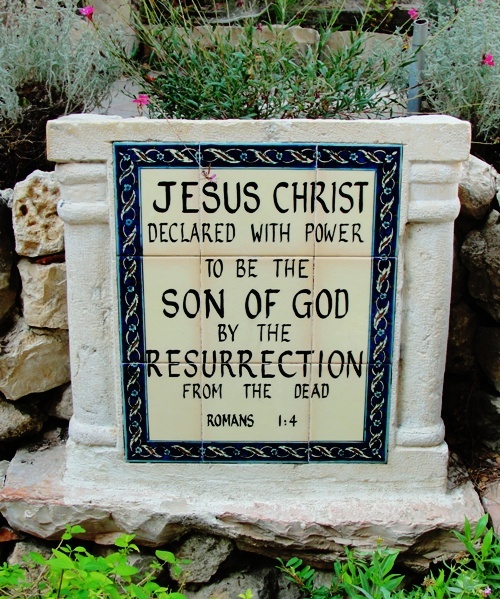 Just outside the gates of Jerusalem there is a site that is called the Garden Tomb. At this site is another example of a rock hewn tomb. 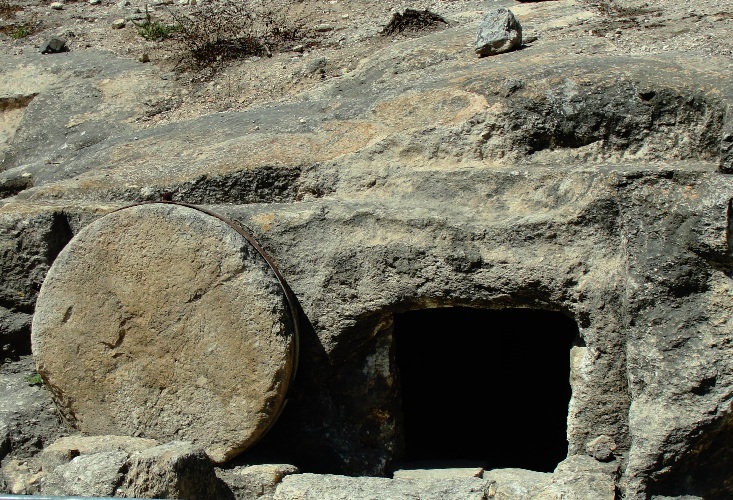 Evidence has been found that this tomb is much older than the time of Jesus, so it would not have been a new tomb at the time of his death on the cross. There are also other pieces of evidence, including probable location, that also show that this is not the tomb. Although it is not important today that we know exactly where the tomb of Jesus was, we should make sure that we do a bit of study and not make factual statements that a place is the tomb when evidence shows that it is not. It was an interesting experience to visit the Garden Tomb. It was in a beautiful garden setting and very peaceful. 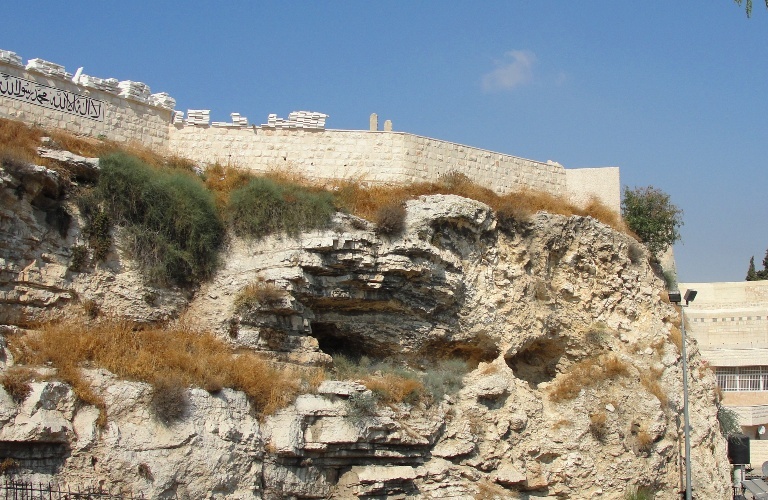 From the garden you could also see the skull formation that some have thought is the site of Golgotha. You can read more about the skull formation in my posts The Place of A Skull and The Place of a Skull II. A more probable location for the tomb is in or near the Edicule of the Tomb at the Church of the Holy Sepulcher. 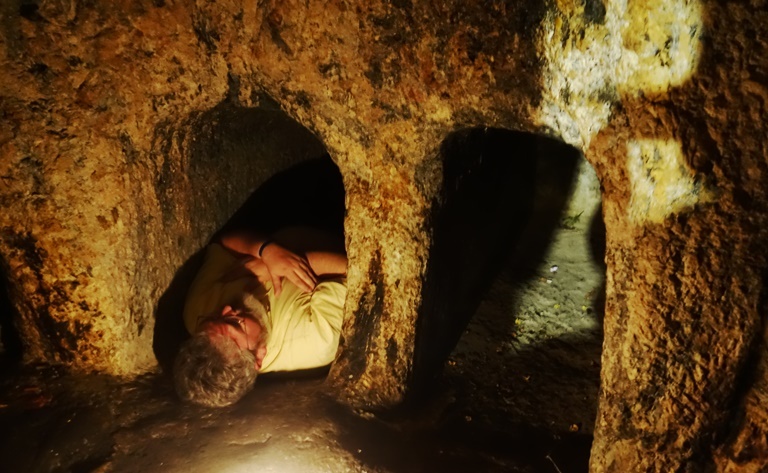 Here is a picture of me in a first century tomb that is just a few meters behind the Edicule of the Tomb. 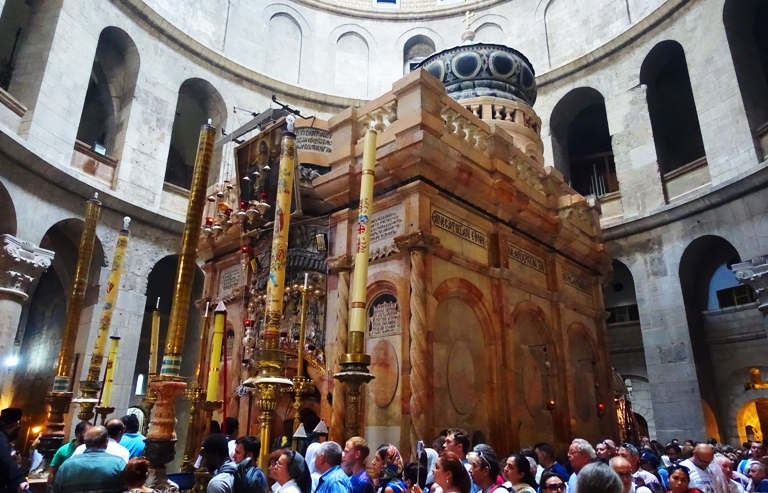 You can read a bit more about these tombs in my post Holy Sepulcher Tombs. There are also some links in the post to some articles about the restoration of the Edicule of the Tomb. 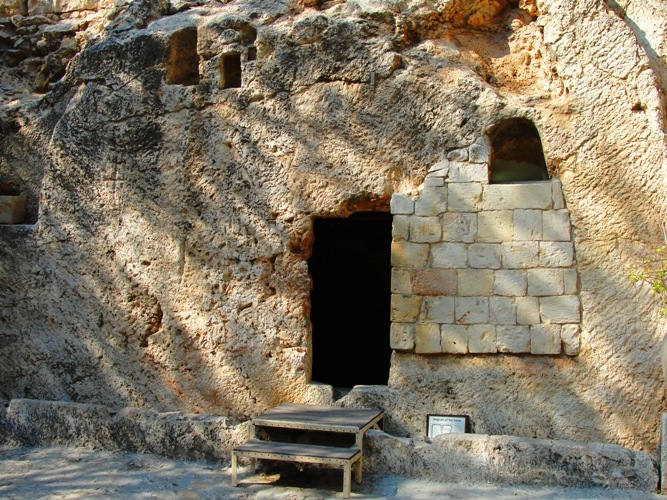 What is very important for us today is that the tomb was empty and that Jesus was resurrected. This is also something that we should remember each Sunday, and not only on one Sunday of the year. In fact, this is something that should be remembered at all times. We serve a risen Savior.